There is normally a waiting period for basic services and major services and there is a deductible per member enrolled and a maximum benefit amount per year per member. Many plans offer you the freedom to visit any dentist you choose. But you may find that you can save money when you visit an in-network dentist rather than a out-of-network dentist. In-network dentists agree to provide services at a negotiated (discount) rate plan. Dentists accepting the negotiated rate plan will generally have you paying less for services. While an out-of-network dentist generally does not accept the negotiated (discount) rate. You may be subject to paying the difference between the dentist’s standard fee and what the plan pays for. 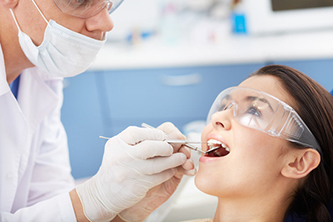 Ask your Dentist about fees prior to work beginning so there is no issue afterward.